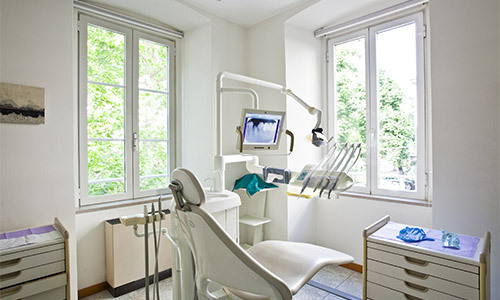 Dental Frequently Asked Questions | Dental World, Inc.
Q: Do you take walk-ins or emergencies? A: While we always recommend making an appointment if possible, we will try our hardest to accommodate to a walk-in if scheduling permits. Q: Why do I need to fill out or update medical forms? A: It is important for us to know our patient's’ pre-existing medical conditions and current medications in order to determine the appropriate treatment. Some of our procedure require the prescription of medication such as antibiotics; these may interfere with current medications and preexisting conditions. 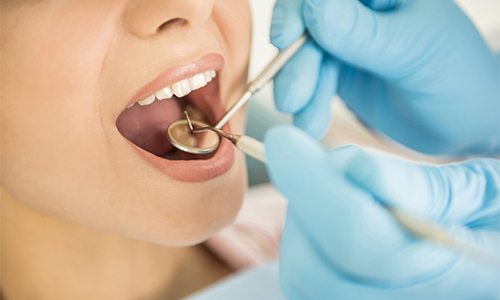 Additionally, certain medical conditions and prescription medications may also require that the patient sees a specialist such as an oral surgeon. Q: What if I have a problem at night or on the weekend? A: Dental World prides ourselves in our 24/7 Answering Service. This means that if you have a problem after-hours, give us a call on our regular business line and a doctor will get in touch with you. Q: Do you accept dental insurance? A: Yes. We accept most dental insurance plans. However, we are considered an "Out-of-Network" practice as we do not participate in any discount programs or HMO's. A: We work through a financial partner called CareCredit that helps our patients to figure out affordable treatment plans. You can either apply with us or through them directly on their web page. Q: What are the fees? A: There is a set price associated with each individual procedure. However, this price does not include the cost of exams and x-rays, making it difficult to give a patient an exact estimate fee. 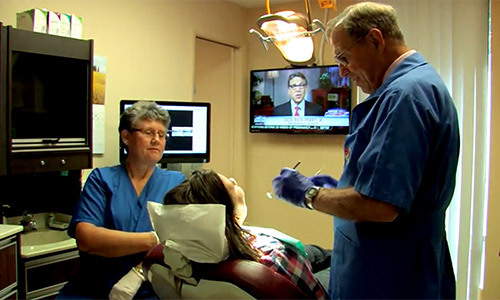 For example, procedures such as dentures may have custom items added for additional fees. We will gladly explain all applicable fees during your treatment plan consultation. Q: Do you offer bleaching or teeth whitening? A: Yes. We have two different systems to choose from: Professional Crest White Strips or Nupro Gold.